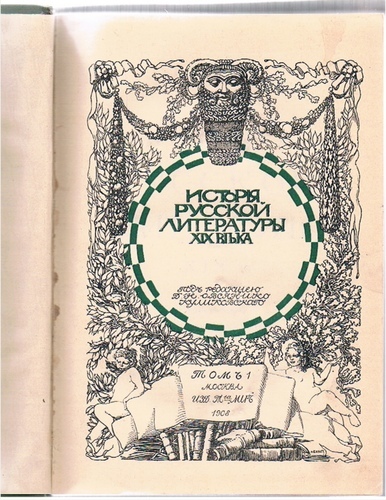 Istoriya russkoy literatury XIX veka. 5 volume complete set. Istoriia Century]. 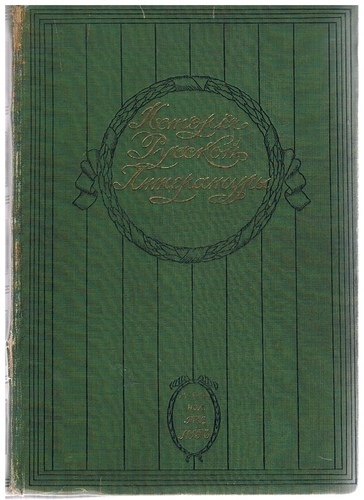 5 volumes uniformly bound in contemporary green cloth, decorated in gilt and black by Bakst, some volumes with matching green endpapers, title pages decorated by Léon Bakst (black and green). 430pp., 431pp., 503pp., 374pp., 578pp., with many b/w portraits from photos and paintings. A good sound set, clean, tight and complete. Spine ends rubbed and bruised, a little loss of colour from spines, lower board to volume V with large damp stain not affecting interior. Heavy set. 8.5 Kg EXTRA POSTAGE CHARGES WILL BE REQUESTED FOR OVERSEAS ORDERS. Please ask before ordering. 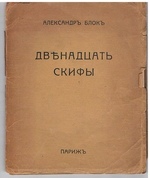 ; Text in Russian. 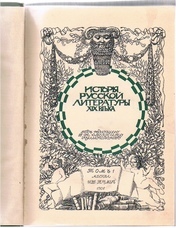 Standard history of literature. Scarce in this complete first edition.